Trade marketing encompasses everything required to get your products into shoppers hands. Maximizing trade effectiveness combined with digital strategies is the best way to get your products onto more retailers shelves and into the hands of more shoppers. 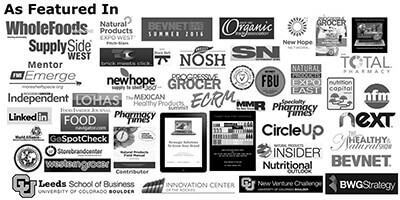 Trade marketing encompasses everything required to get your products into shoppers hands. This includes slotting, menu fees, temporary price reductions, displays, and much much more. Maximizing trade effectiveness combined with digital strategies is the best way to get your products onto more retailers shelves and into the hands of more shoppers. Let’s face it, retail is expensive – especially in traditional brick-and-mortar retailers. It seems as though from the brand perspective that everyone has their hand out. Brands find themselves feeling as though they are an ATM machine. 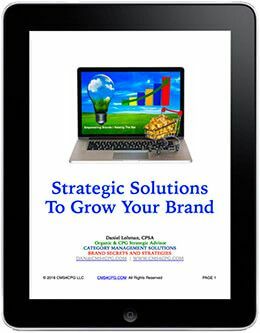 Sadly, the perception is that a brands checkbook is the most important tool in their toolbox when working with retailers and distributors. The current strategy is to continually raise money to support or fund every promotion regardless how effective it is. For most brands, this is simply not sustainable. Trade marketing is typically the single largest line item on a company’s income sheet, but how do you know if your trade marketing is effective? This is something that most brands struggle with. 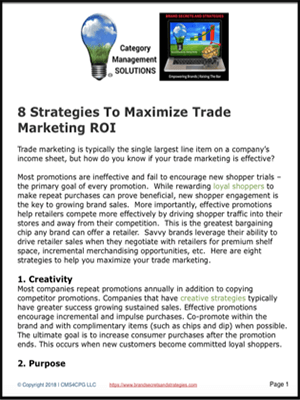 This is an area that I’ve had great success in including developing several advanced tools to analyze promotional effectiveness including one that measures the contribution from a promotion at the brand level for a specific retailer or promotion. Measuring promotional effectiveness can be extremely challenging, even more so in natural. This is due to the lack of quality resources needed to effectively measure a promotions effectiveness. For example, not every retailer or distributor shares their sales data. To measure the effectiveness of your promotion you need to know exactly how much product gets delivered to the store and how much product gets scanned through their registers during the promotion. Another challenge is a promotions don’t align with the data reporting periods – syndicated data providers typically end there reporting weeks over the weekend while promotions typically begin and end during the middle of the week. There are many other challenges to measuring the effectiveness of a promotion that I’ll cover more in-depth in future courses and podcast. I’ve seen estimates that as much as 70 to 90% of all trades spending is wasted or ineffective. That sounds like a pretty bold claim, let me explain. The primary purpose of every promotion should be to introduce your product to new customers – PERIOD. The reality is that your promotional dollars do little to increase new customer trials. Don’t get me wrong, the sales increase or lift that you get from a promotion is key to driving sales at retail but ineffective promotions actually take dollars out of the category and dilute your brands contribution. Ineffective promotions include out-of-stocks, poor product merchandising, the wrong promoted price point, poor coordination between the retailer and the brand, competitive promotions that overshadow your promotions, effective messaging or advertising, etc.